Its worldwide gross is already a staggering Rs 1,250 crores, reports Urvi Malvania. Among its many achievements, the S S Rajamouli-directed Baahubali: The Conclusion now has the distinction of being the highest collecting Hindi language film. At Rs 392 crore (Rs 3.92 billion) (net, after tax), the Hindi dub of the Prabhas and Rana Dagubatti starrer has beaten the record set by Aamir Khan's December 2016 blockbuster, Dangal, which made Rs 387 crore (Rs 3.87 billion) in its lifetime at the domestic box office. With this, the worldwide gross collection of Baabhubali 2 is a staggering Rs 1,250 crore (Rs 12.5 billion), by trade estimate. Interestingly, this is not the only Hindi-dubbed movie in the list of top grossing Hindi language films. Last year, Disney's The Jungle Book's Hindi version made around Rs 115 crore (Rs 1.15 billion) in India (the total across languages being Rs 190 crore/Rs 1.9 billion). Though the Hollywood flick does not figure as high as Baahubali 2 in the pecking order, it does point to a trend in content acceptance by audiences if tailored to the mass language. Baahubali 2 did have some distinct advantages to help it on its way to record highs. While not detracting from the success, it did not have to battle the cash crunch created by the government's demonetisation drive, announced on November 8, 2016. Industry estimates peg the monetary impact of this on Dangal's domestic box office was up to 10 per cent, meaning the film could have made at least 10 per cent more of its total net collection in India. Also, being the second part of a highly successful Baahubali: The Beginning (2015), anticipation for the sequel was sky-high. The cliff-hanger the first part ended on -- why did Katappa kill Baahubali? -- became a marketing tool in itself, without much effort needed from the promotions team. The special effects alone attracted many movie goers to cinema halls. "Baahubali has made us realise the potential of the pan-India audience," says Prabhat Choudhary of Spice. "India as a consumer society is huge and complex and we need to understand that complexity." "There are pockets of audiences divided by geographies and demographics. The quantum of success of a film depends directly on how many of those audience pockets it has been able to reach and appeal to," Choudhary adds. 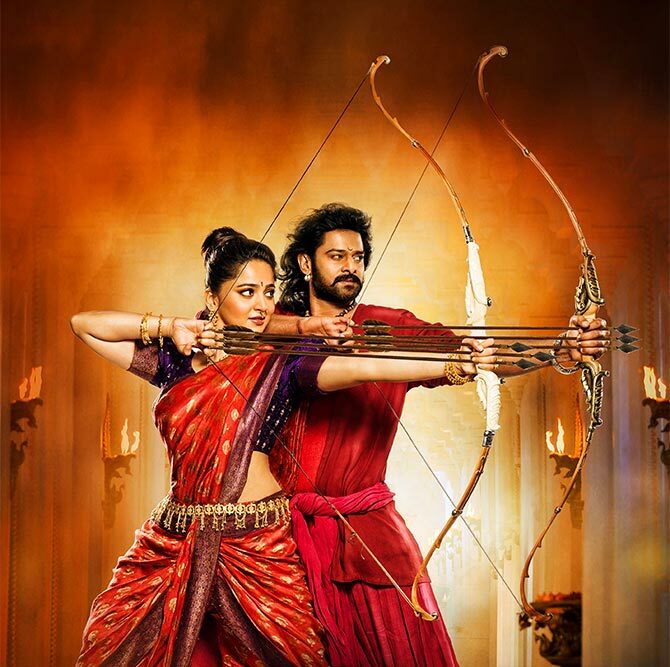 "Baahubali reached and appealed to all segments of audiences possible. In four years of Baahubali communication, the idea was to reach and cover every district of the country." Spice was brought on board to promote Baahubali even before the release of the first part, way back in 2013. Finally, the film has had an unopposed run since its release on the last Friday of April. In the two weeks since then, the only other title to offer any competition has been Marvel's Guardians of the Galaxy Vol 2, but that would have had minimum impact, since the target audiences for the two films are very diverse. Starting this Friday, Baahubali 2 will face competition at the Hindi box office with the release of Yash Raj Films' Meri Pyaari Bindu (Ayushmann Khurrana and Parineeti Chopra) and Sarkar 3 (Amitabh Bachchan, Manoj Bajpayee and Amit Sadh). However, trade pundits are confident that the film will cross the Rs 400 crore (Rs 4 billion) mark this weekend, adding another feature to its cap. While Baahubali 2 has beaten Dangal in the race to be the highest grossing Hindi language film, the Aamir Khan starrer has been breaking records in China. Released last week, the film has beaten Guardians of the Galaxy Vol 2 at the Chinese box office, making close to Rs 150 crore ($23.04 million/Rs 1.5 billion) in its first week there.